Over the past week almost a dozen of you have forwarded the New York Times article to us, “Millions in U.S. Drink Dirty Water, Records Show.” That is a very encouraging thing! Not the fact that we as a country are drinking dirty water, but that you as citizens are becoming more and more aware about the issues threatening our water resources. Keep it up! From the Edisto River, to Bushy Park Reservoir (off the Cooper River), to an underground aquifer, we get our drinking water from a variety of natural sources throughout the region. It is imperative that we keep our waterways clean in order to keep our drinking water clean. At the same time though, we must hold government agencies accountable for enforcing laws that protect our water. Without strong enforcement, violations can occur, and we as the public will bear the burden. It is our goal to see that your right to clean water is protected. Water the Future Event a Success! For those of you in attendance, we don’t have to tell you this, but for those that weren’t able to make it, the Water the Future event was a huge success! 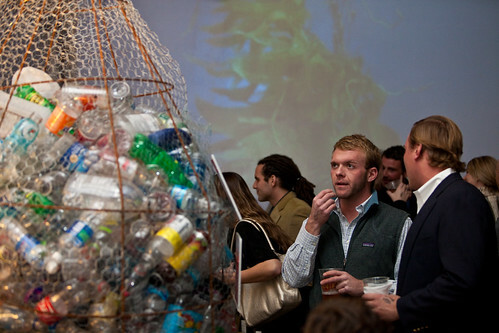 Over 150 people came through the doors to help support Charleston Waterkeeper’s efforts. When all was said and done, the event raised in excess of $1,300! This money will be used to defend Charleston’s waterways from pollution and protect your rights to clean water. A huge thanks to everyone who helped to make this idea a reality. Rob Brennan of Brennan Media put this video together from the event. A big thanks to him for rocking it out, sans assistance from any mainstream media outlet. For photos of the event, check out our Facebook profile or Chrys Rynearson’s flickr feed. If you’ve got photos or video from the event, we’d love to check them out! Tag us on FB or send them to us at info@charlestonwaterkeeper.org. We’ll have more media and follow-up to come… so stay tuned! Our friends at TheDigitel.com threw up a great article about the Water the Future event. Check it out here! Also, Charlie Magazine included us in their “society” page… check it! The Charleston City Paper recently published “Soaked in Freedom,” a great write-up about our efforts. Much of the article’s focus was on the idea that clean water is a fundamental right belonging to each of us (it also promoted our upcoming Water the Future event!). A huge thanks to Cara Kelly for writing the piece and to Kaitlyn Iserman for taking the photographs.